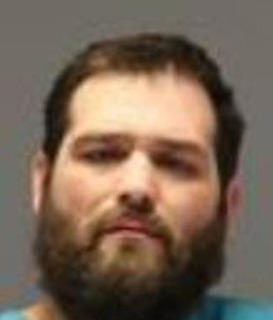 Christopher Lee Dunker, 36, of Duluth, is charged with criminal damage to property and fleeing police, both felonies, as well as driving under the influence, a misdemeanor. A 36-year-old Duluth man faces multiple felony and possible federal charges after he crashed a vehicle through the gated fence near Cirrus Aircraft early Friday, before speeding onto the runway and forcing an emergency closure of the Duluth International Airport. The closure remained in place until the man was apprehended. One commercial flight was delayed and a FedEx plane had to circle overhead while the episode played out before sunrise, Peterson added. The man was stopped in the airfield and taken into custody. He is scheduled to be charged with a pair of first-degree felony counts — criminal damage to property and fleeing police in a motor vehicle — and fourth-degree misdemeanor driving under the influence of a controlled substance. While the Duluth police identified the suspect, the News Tribune does not generally identify suspects prior to them being charged in District Court. The FBI “does not believe that the incident was ‘terrorism’-related in any way,” a Duluth Police Department news release said. Law enforcement could not get the driver to voluntarily pull over while pursuing the suspect on the runway, said the Duluth police news release. Hermantown police were able to use their vehicle to push the suspect’s vehicle from the road, ending the situation, added the Duluth police. 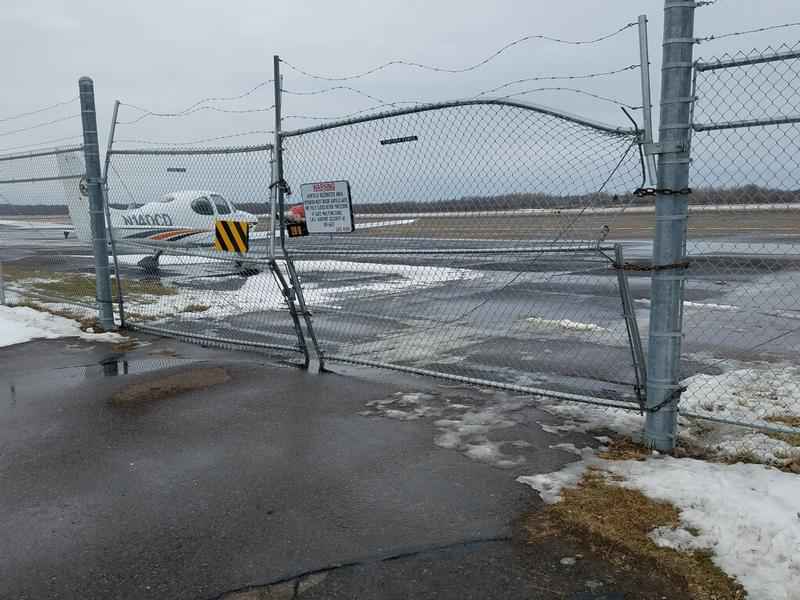 A member of the airport’s maintenance personnel was working in the airfield and heard the noise of the vehicle crashing through a gated section of security fence near Cirrus, Peterson said. The worker immediately called 911, eliciting a large law enforcement response beginning just after 7 a.m. The Duluth and Hermantown police, St. Louis County Sheriff’s Office and, because the airfield is federally regulated, FBI responded to the unauthorized vehicle on the runway. The man was being held at St. Louis County Jail following his apprehension and pending formal charges, said the Duluth police. He was interviewed by the Federal Bureau of Investigation and federal charges are pending review by the U.S. Attorney. Peterson said fence and gate repairs had already commenced by midday. 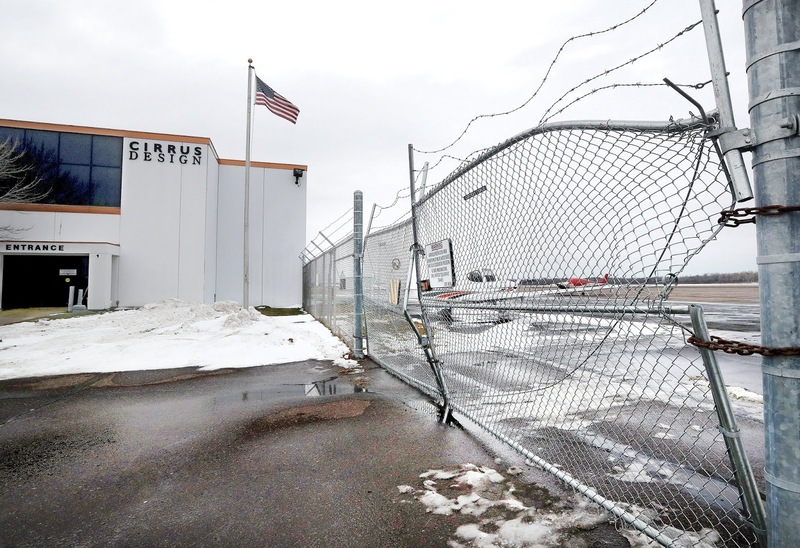 Peterson described the airfield as being completely fenced-in, per federal regulations. Anyone working in the airfield is required to have clearance, which includes a background check. 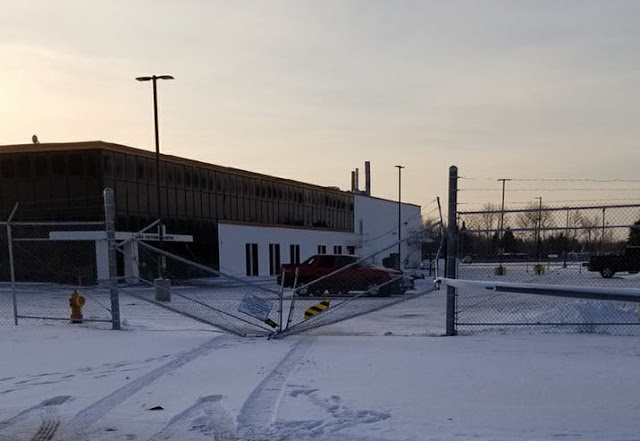 A 36-year-old man under the influence of drugs smashed through the gate of Duluth International Airport and took a joyride on a runway Friday morning before leading police on a short chase, authorities said. Christopher Lee Dunker, of Duluth, was arrested and charged in St. Louis County District Court with criminal damage to property and fleeing police, both felonies, as well as driving under the influence, a misdemeanor. He remains held without bail in the St. Louis County jail. Officers were called to the airport at 4701 Grinden Dr. around 7 a.m. on a report of an unauthorized vehicle on the runway. The driver — who authorities say was obviously confused — was arrested after a short pursuit, said police spokeswoman Ingrid Hornibrook. According to authorities, the joyride took place on an active runway while a commercial flight was boarding. The Federal Bureau of Investigation interviewed Dunker and does not believe the incident was related to terrorism in any way. Federal charges are pending.